At home, how can you prevent germs from multiplying? There are some simple actions you can take that will allow to keep a good water quality and avoid bacteria such as Legionella or Mycobacterium to multiply and therefore become, because of their increased number, a threat to our health. 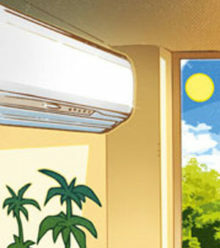 Frequently clean your humidifiers and air conditioning systems. 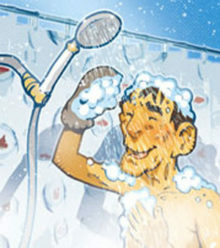 Before taking the first shower in a newly occupied apartment (moving, holiday), let the water flow for about 30 seconds. This will allow eliminating germs that might be in the stagnant water in the showerhead. During renovations, avoid installing dead ends in which the water can stagnate and germs multiply. Obviously, the responsibility of providing drinkable water of an impeccable quality falls upon the companies specialized in that field. These companies use different physical and chemical techniques to reduce the number of germs found in the water we drink but also the one we might breathe in through aerosols1. Wastewater treatment is tightly controlled so that upon exiting the treatment facility, the purified water can be reintroduced in our rivers, lakes or seas. The water coming out of the water treatment plants is of such good quality that we can use it to water the fields or public gardens.